BSB Boss: "I don’t apologise for ‘War for Four’ build up"
since his return to the championship. The 2006, 2007 and 2010 BSB winner returned to the series after a year out following a difficult year in BSB in 2011, in which the Japanese rider only just made it into the top six “showdown fight”. Kiyonari showed he still had speed during his year out by winning the Asian Road Racing championship. Many thought his return to Britain in 2013 was to prove a point, especially as Shane Byrne was edging ever nearer to his all-time BSB win record. MSVR, the company behind British Superbikes ran a “War for Four” build up promotion prior to the start of the season, taking advantage of a situation which saw 2012 champion Shane Byrne pledging to become the first rider to win more than three championships and the return of Kiyonari, who in early pre-season testing had showed both confidence and form. 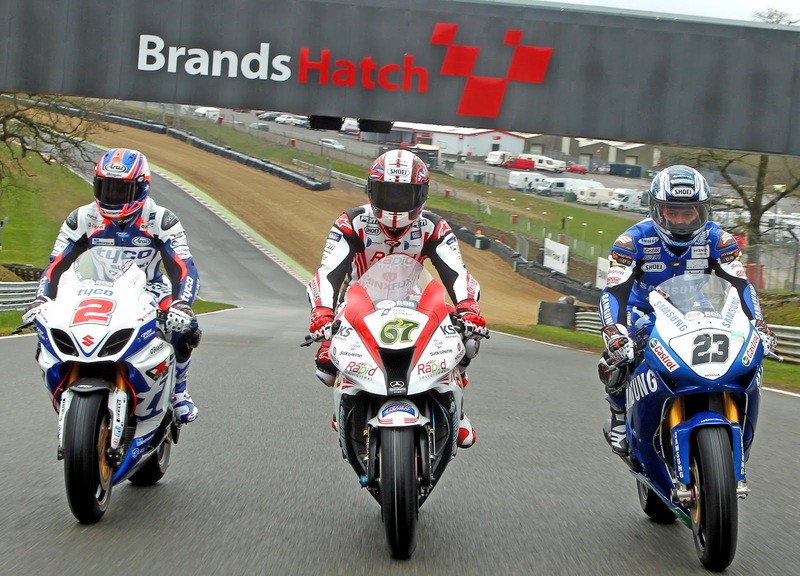 Unfortunately the Honda rider has not lived up to expectations and replicated the form that took him to the top step in 43 British superbike races, whilst his younger, less experienced team mate, Alex Lowes has finished on the podium in every race so far. Rumours that the Japanese champion may not last the season at Samsung Honda are starting to gather momentum as Kiyonari’s lack of confidence becomes a huge media focus after he finished 14th and 12th at last weekend’s Oulton Park round. Speaking with PaddockChatter about Kiyonari this evening, Higgs said: “Thoughts post Oulton Park are one of exasperation for him. It’s not where he wants to be of course but before we dwell on what’s next I’d like to dispel a few myths on his return: We certainly didn’t drag him here, it was something he really wanted to do and entirely a Honda decision. Perhaps he felt the exit in 2011 really troubled him. His Asian campaign rejuvenated him and as we know he is highly regarded within upper Honda corridors of power. He had a number of options for 2013 and was set on coming back to fix unfinished business. Indeed our first contact with him when he was unveiled was a happy, confident, purposeful guy. The prospect of the two current triple champions was naturally a situation to relish so I don’t apologise for any of the war for four build up. Even at the first test at Cadwell just before the weather turned, he was fast and there was nothing really in it between him and Alex [Lowes]. The remaining UK tests were pretty pointless and it was only at the back to back first rounds that his confidence and form suddenly went off the cliff. Timing is everything and what you have now is a rider with huge experience suffering a confidence dip and searching for a setting he remembers against a teammate who is a hyper talented young rider who will just get on the thing and wring its neck. Undoubtedly this will be a huge dilemma for Havier Beltran but he knows more than most this is a results driven environment. I was shot down in flames on a forum for daring to say post season that I reckoned there were only really four riders in with a shout of winning most weekends. Brookes, Shakey, Alex and Ellison. Seems so far I was right and I don't see it changing anytime soon.